MetroFocus is a multi-platform news magazine focusing on the New York region. The MetroFocus television program features news, smart conversations, in-depth reporting, content from many partners and solutions-oriented reports from the community. Major areas of coverage include sustainability, education, science and technology, the environment, transportation, poverty and underserved communities. MetroFocus.org amplifies that reporting with daily updates and original stories that also cover culture, government and politics, the economy, urban development and other news in the metropolitan region. MetroFocus is the recipient of the New York State Broadcasters Association’s 2014 “Serving New York” award, the New York State Broadcasters Association’s 2014 “Excellence in Broadcasting” award for Outstanding Public Affairs Program or Series, the New York State Broadcasters Association’s 2013 “Excellence in Broadcasting” award for outstanding locally produced TV show, the Press Club of Long Island’s 2013 Media Award for Breaking News Video and the Press Club of Long Island’s 2012 Media Award for Television, Non-Deadline News. Rafael Pi Roman also won a 2014 New York State Emmy award for his role as the host of MetroFocus. Ideas for stories or coverage can be submitted to us via our Contact Us page. What geographic area does MetroFocus cover? 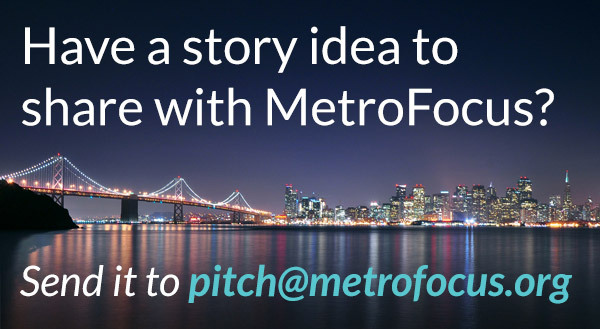 What if I want to pitch a story idea for MetroFocus? We welcome good ideas. If you have a story you think we should cover or if you would like to contribute an op-ed, photo or article to MetroFocus, visit our Contact Page to get in touch with us. We review all pitches and ideas daily; unfortunately we cannot respond to every email. The MetroFocus staff is a vibrant group of tech-savvy journalists, all of whom have produced for multiple platforms including television, newspapers, print, photography and the Web. Meet the team here. Is there a MetroFocus app? How can I get MetroFocus content on my smartphone? The MetroFocus app for iPhone is available for download on the iPhone App Store. The free mobile app offers the latest news, culture and feature stories, plus local customizable weather and transit alerts for when you’re on the go. Download our free app today. Our relationships with various nonprofits and media organizations help us bring attention to critical issues that affect our region. Please visit our Contact Page to get in touch with us. How can my organization support MetroFocus though online advertising or corporate or foundation sponsorship? MetroFocus is looking for sponsors who are interested in reaching a diverse, engaged New York audience and supporting our mission. For more information, visit our Contact Page. How do I apply for an internship at MetroFocus? MetroFocus hosts interns year-round and considers them an integral part of our team. We are committed to providing each intern with a valuable educational and professional experience. Please click here to learn more and to apply for an internship.